Pop singer who rose to fame after winning the eighth season of The X-Factor Australia in 2016. He went on to represent his country in the Eurovision Song Contest in 2017 with the song "Don't Come Easy." Prior to his success on the eighth season of The X-Factor, he appeared in the 2015 season of the show, but was eliminated during the bootcamp round. 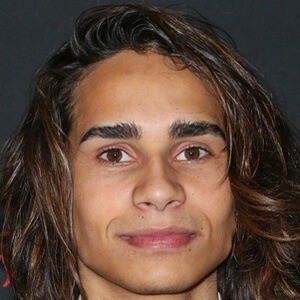 At the age of 15, he performed as a member of Team Australia at the 19th annual World Championships of Performing Arts. He is from Moama, Australia. His father taught him how to play the guitar growing up. He has put his earnings from local competitions towards supporting his family. During his time on The X-Factor he was coached by Adam Lambert.